MontanaFair opens Friday, Aug. 11, and runs through Saturday night, Aug. 19. in Billings, Montana. 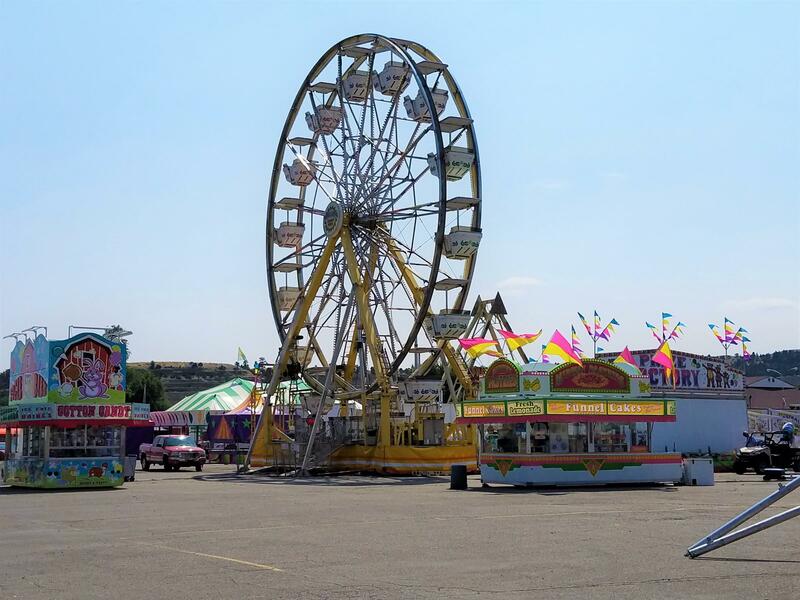 The company that provides rides at MontanaFair, Thomas Carnival, has been a mainstay at the fair in Billings for over 30 years. John Hanschen, the President of Thomas Carnival, says the carnival’s insurance coverage and an international industry oversight group requires ride inspections, despite Montana not having an official ride inspector. “They require written record of the final inspections at the start of the week and then daily after that. There is a written daily inspection each day that is recorded,” says Hanschen. A Ferris wheel arrives in Billings for MontanaFair. That impresses MontanaFair Manager Bill Dutcher. He has a 20-year relationship with Thomas Carnival. He knows Thomas Carnival uses their brief off season to get their people certified to inspect rides. “I know that from my job. Now that means a lot to me that they spend their own time and dime to look out for those things since Montana is one of those states,” Dutcher says. He wants the public to know his staff trains for and plans for MonatanaFair throughout much of the year so the public can have a fun and safe time. “We want them to come and enjoy themselves knowing that every precaution has been planned for and taken care of in advance. And we are very proud of that fact,” says Dutcher.